France’s Vivendi is launching its smartphone-targeted SVOD service Studio+ to the US. 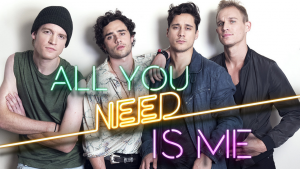 The service, which offers customers a slate of 10x10mins high-end original short-form series, will debut Stateside with new music drama All You Need is Me and thriller series Hadame Hollywood. Studio+ is the result of collaboration between Vivendi’s Canal+ and Universal Music divisions, and has already rolled out in France, Italy and Latin America. All You Need is Me is from director Simon Aboud and follows an LA talent manager who signs an unknown British rock band after losing all of her artists. Toby Sebastian (Game of Thrones) stars. Madame Hollywood, meanwhile, has previously launched in France. It follows Dr Davis as a model who is forced to obey torturous orders from the titular Madame Hollywood in order to save the lives of her and herroommate. “Recognizing the industry’s need for premium, on-demand mobile content, we intentionally designed our Studio+ ‘10×10’ format to advance today’s on-the-go viewing experience for the needs of our fast-paced generation,” said Dominique Delport, chairman of Vivendi Content. He added the service had gained “widespread adoption by more than five million subscribers in other countries”. This had led to the decision to go after a US audience that is “hungry for authentic content and to combat the scarcity of high-end, scripted content in the short, convenient format thatconsumers desire”, said Delporte. Vivendi is giving US customers one month free on download, with the fee standing at US$3.99 a month after that. Studio plus launched last year to target mobile-first 18-34 year-old audiences, and now offers more than 30 original shows, which are available in English, Spanish, French, Portuguese and Italian.